Some of Brightergy’s technical-guard were understandably skeptical of a web-developer pitching “world-class web-presence” via Search-Engine Optimization (SEO); many programmers broad-stroke SEO as “snake-oil” because a cadre of “Mad Men” with little technical-ability tarnished the discipline by over-promising results and under-delivering execution- except for collecting fees. In truth, SEO is best practices in web-development: from structured-data schemas, to production architecture, all the way to world-class content management and procurement. We need not defend our work anymore because every BucephalusDev-production is substantiated by Google Analytics (filtered for all known-bots and spiders in the admin-panel). We delivered a 94% increase in traffic YoY as Brightergy grew on-line while growing off-line. The industry bench-mark for legitimate SEO improvement is at least 20% for an established business. In truth, SEO is best practices in web-development: from structured-data schemas, to production architecture, all the way to world-class content management and procurement. 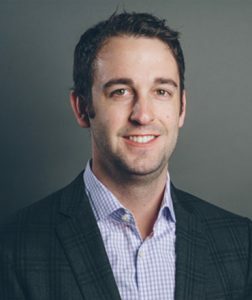 Once again, we revel in thanks and praise by Adam Blake, CEO of Brightergy, another one of Kansas City’s homegrown tech companies providing solutions in solar-technology. Our very own CEO & CTO, Alexander J. Singleton, not only co-engineered the project, he also photographed the breathtaking Google Virtual Tour (discussed in the following section) all while managing to keep the product-owners happy. We are indeed redefining the technical-curve as the only Web 3.0-company in the KC. Alex has done a great job on a few different projects for Brightergy. I highly recommend Alex and his team for both big and small web projects. Brightergy was also our first Google Virtual Tour earning accolades from the Google Streetview administrators, ultimately allowing us to become Google Certified Streetview Photographers! According to a study conducted by Google, those who view a search-result listing with a virtual tour are twice as likely to be interested in that business, purchase a product, or even book a reservation there- and among 18-34 year-olds in particular, prospects are 130% more likely to book based on a virtual tour. Among additional people surveyed, 67% want more business listings to have virtual tours- of the remainder, 26% were indifferent, and only 7% stated that more virtual tours were unnecessary. Just remember: when searching for restaurants and hotels online, 62% of people use Google. Try running your business without Google for a day; we bet you can’t, which means a website must be Google-friendly! Chances are you probably consulted Google at least one time if you purchased anything within the last month; your prospective clients are probably doing the same. Among additional people surveyed, 67% want more business listings to have virtual tours– of the remainder, 26% were indifferent, and only 7% stated that more virtual tours were unnecessary. Culture is how we interact and accomplish goals together. BrighterLink is one of the first to combine traditional energy broker services with world-class technology, so you get get the best of both worlds, having control over your energy means access to the details in real-time. It means having information you can act on, in addition to reports on what already happened…Effortlessly manage energy data, from utility bills to real-time energy use, all in one place. Use that data to empower your own decisions, while our energy experts use it to quickly market you to top suppliers and ensure you get the best rates. Purpose affirms trust, trust affirms purpose, and together they forge individuals into a working team…as interconnectedness and ability to transmit information instantly can empower small groups with unprecedented influence: the garage band, the dorm-room start-up, the viral blogger and the terrorist cell. The publication is now accessible in its entirety below via Alex’s academic blog and Scribd. Please feel free to reach out and learn more about Alex by visiting his company-profile.